A busy day of getting last minute details in place but all got done (even the dishes!) 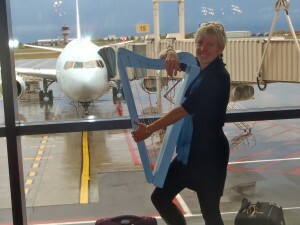 before catching our evening flight from Ottawa to Heathrow then on to Dublin. Elvis went more-or-less happily to Tippy’s Woodland boarding Kennel for his 3 weeks at doggie daycare. We know that he’ll have a fun time romping with his buddies.